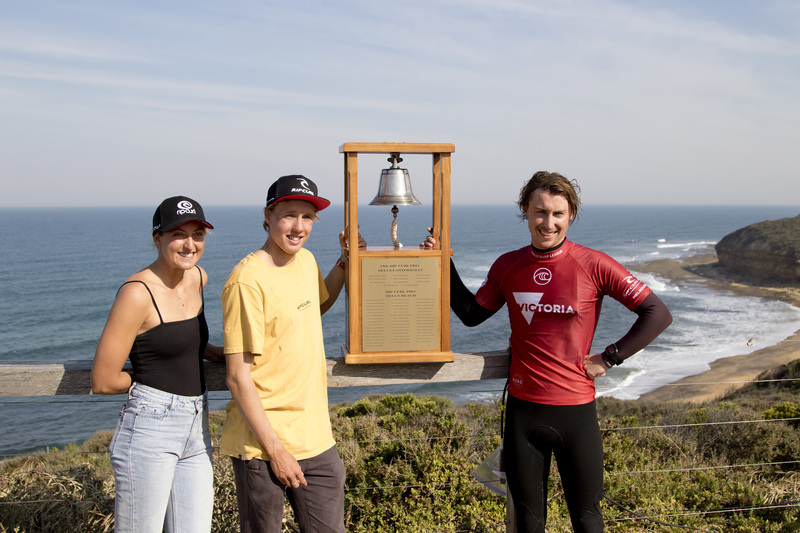 Victorian Harry Mann (Torquay) has claimed his maiden entry into the Rip Curl Pro, winning the Victorian Trials today at the alternate location of Winki Pop. Small waves greeted competitors on day two of the competition with divisions for the Rip Curl Men’s Wildcard, Victorian Men’s Wildcard and Women’s Wildcard. Progressing his way from the first round of the event, Mann relished in the small waves taking down four different former winners across the day to make the final. The final was a tightly fought battle with Mann coming up against 18-year-old Billy Harrison (Barwon Heads) and only .16 of a point separating them at the final siren. “This has been a childhood dream of mine since I was a kid on the beach watching Kelly Slater ring the Bell” said Mann. Mann finished with a heat total of 9.60 points (out of a possible 20) whilst Harrison finished in second on 9.44 points. Claiming the second Men’s Wildcard was Western Australia’s Jacob Willcox (Margaret River) who bested Xavier Huxtable (Jan Juc) and Crosby Colapinto (USA) in the Rip Curl Team Trials. 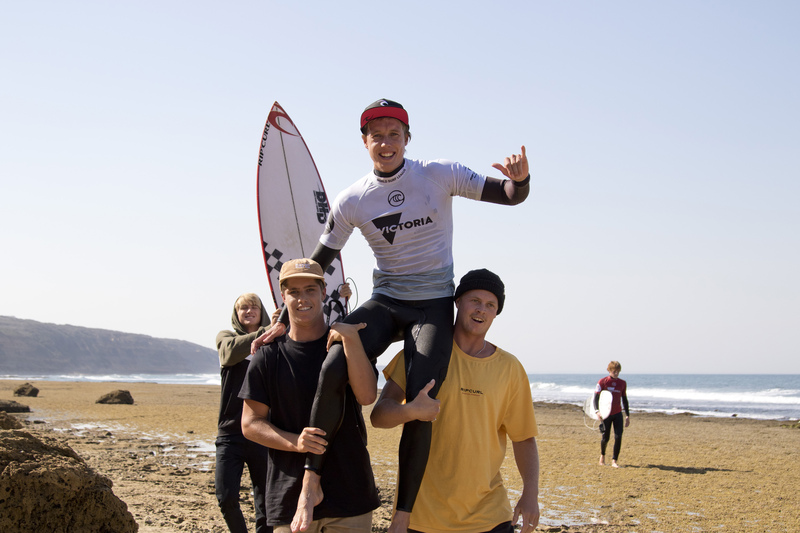 This is Willcox’s second appearance at Bells Beach after receiving the wildcard in 2013 to the presteigous event. The Women’s Trials saw Kobie Enright (Coolangatta, QLD) claim her second straight entry into the Rip Curl Pro besting a stacked final of Alyssa Spencer (USA), India Robinson (Jan Juc) and Leilani McGonagle (Costa Rica). Enright was unstoppable on her way to a heat total of 13.27 points.